This week’s MUG Event Calendar is heavy on video, Final Cut group and creative pro activity. Final Cut/creative pro groups will meet in California, Massachusetts, and Indiana with guests talking about hardware, software and techniques related to video creation. To top it off, a Georgia group will be hosting their first Southeast Creative Summit. And let’s not forget all the new Apple announcements that are scheduled for October 22. MUGs will be buzzing about what is revealed in San Francisco on that date, even though we can only guess at the specifics. Other topics on this week’s schedule include iStudio, entertainment and Apple Devices, holiday gifts for your Mac user, Evernote, Skitch, WiFi security and more. 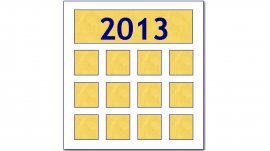 Are you tired of not seeing your group’s meetings listed on The MUG Event Calendar? Then do something about it! Email the details of your next meeting to The MUG Center and get listed and and included in our weekly MUG Center Briefing. Tuesday 8-Oct Princeton Macintosh Users Group – Dave Hamilton on "Managing Your Mobile Life With Apple Devices"
SFCutters – AJA; Editshare; Filmmaker Jarid Johnson; Peachpit Authors:"Digital Video with Adobe Creative Cloud Classroom in a Book"
Wednesday 23-Oct Boston Creative Pro User Group – Michael Cioni on "Lowering Your Price-Per-Frame"
Los Angeles Creative Pro User Group – Sam Mestman will show how to emulate Avid’s ScriptSync option in Final Cut Pro X. Yes, really! Plus Dave Basulto will show off his very own and now shipping iOgrapher, a Mobile Media Case for the iPad 3/4 and now Mini.